RF detectors are designed to convert an RF signal to a video output. The RF and microwave detector series is available in linear and log varieties. The RF and microwave detectors are available in biased Schottky and zero bias Schottky configurations and operating frequencies from 100KHz to 26 GHz. 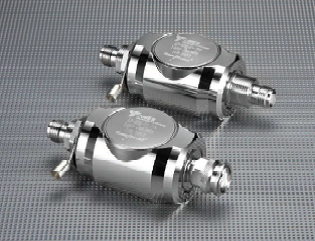 The RF detector impedance and connector options are 50 or 75 Ohm BNC and 50 Ohm SMA. RF and microwave detectors with BNC connectors are linear and cover a frequency range from 100kHz to 1GHz. The RF and microwave detector input has the BNC male connector end, and the DC output has a BNC female connector end. RF power switching connectors are surface mountable. It is a two in one solution replacing the existing standard RF switches by integrating the switch function into the connector. 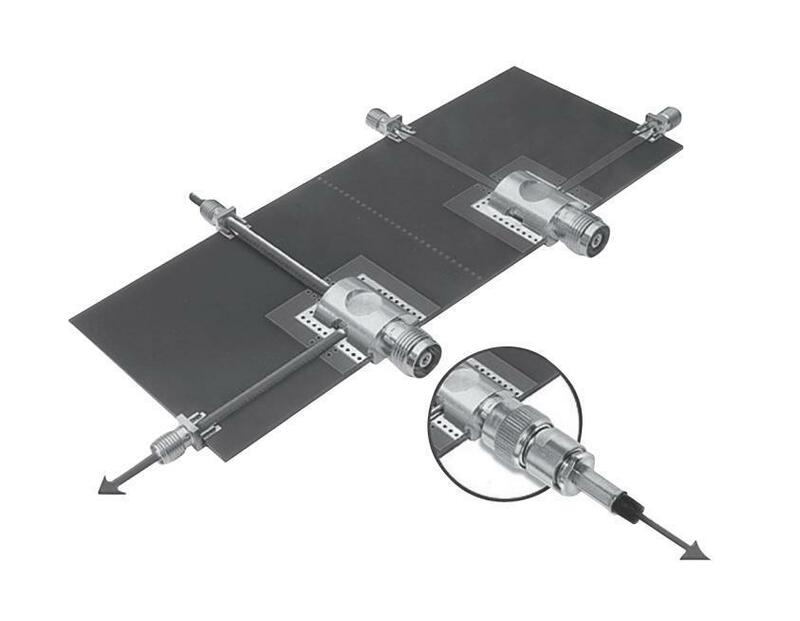 This solution provides a unique means of switching between two RF signal paths. The switch is mechanically activated by mating and un-mating the connectors. Applications include Telecommunications products, wireless devices, RF power amplifiers, and any low power device requiring transmission re-direction. The main advantage is high reliability, increased board density capabilities, excellent electrical and mechanical performance and cost savings. As well as the stock MCX version, Switch Connectors are also available in N, TNC, SMA, QN, QMA and other Coaxial series. N Connectors, SPDT relay switch products include various frequency ranges. Frequencies of N type SPDT relay switches are DC to 4GHz or DC to 8GHz. N type transfer relay switch products have a broad frequency range. Transfer relay switches with N type connectors include DC to 4GHz frequencies. SMA Connectors, Coax RF switches with SMA connectors offer a variety of configurations SPDT, SP10T, SP4T, SP6T, SPDT & Transfer Relay Switch. 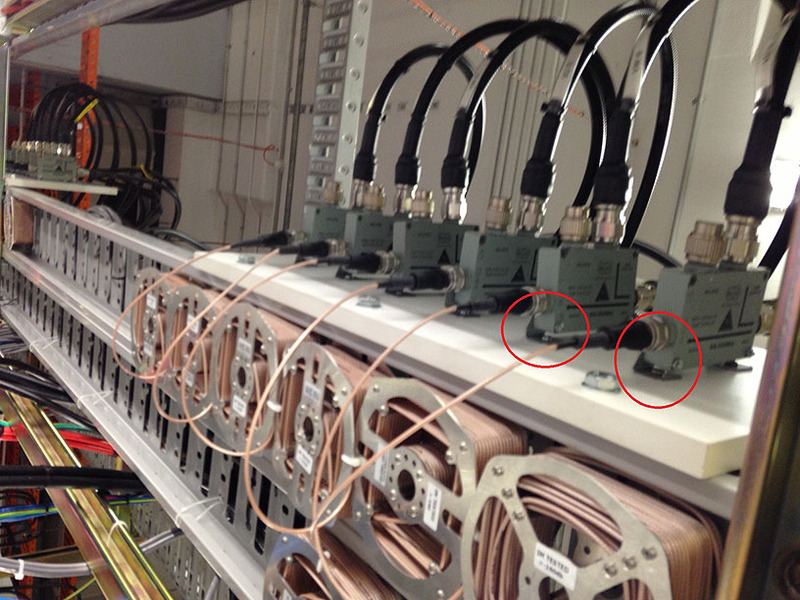 Coaxial RF switch product line for RF applications include two types of switches. Pasternack coax RF switches include A/B switches and single pole switches. Our coaxial RF switches are available in BNC, BNC 75OHM or N type connectors for A/B switches and SMA connectors for single pole switches. Coaxial RF Transfer Switch, SMA connector transfer switches have a broad band of frequencies. The frequency range of SMA transfer switch products are from 10MHz to 18GHz. Manual Coaxial RF Switch with built-in Surge protectors. Radiall is one of Europe’s leading Coaxial Switch designers & manufacturers. Their innovative RAMSES system was developed to increase the long term reliability of conventional RF Coaxial switches. The patented concept provides their relays with a typical operating life of 10 million cycles while suffering NO decrease in contact resistance reliability over time. The new design’s mechanical construction also makes it much more cost effective to manufacture compared to traditional switches. Pasternack’s RF and microwave limiters are broadband devices for receiver protection. RF limiters are also used for power levelling applications. Microwave and RF limiters for power levelling limit thresholds of +9dBm and input power maximums to 1W CW. Pasternack Enterprises RF and microwave limiters are available in PIN diode and PIN Schottky diode designs. RF and microwave limiter operating frequencies range from 0.5 GHz to 18 GHz. Bias Tee components are primarily used in applications to inject DC currents or voltages in RF circuits. The bias tee injects DC currents or voltage RF circuits without affecting the RF signal through the main transmission path. Our line of bias tees are primarily used in applications to add or remove DC power in RF circuits or coax cables without affecting the RF signal through the main transmission path. Pasternack bias tee components are available in a wide range of frequencies. Several bias tee connector choices are available. Some bias tee frequency choices include multiple connector types to choose from. Bias tee components from Pasternack can operate from 100KHz to 50GHz . DC current of these bias tee products are in levels as high as 7 Amps and as low as 250 mA. VSWR of our bias tees range from 1.80:1 to 1.50:1. A new addition to our in-building family of products is our broad-band, Low PIM coaxial DC Blocks designed ideal for connection to the input of a network combiner. Pasternack DC Blocks are primarily used to protect DC-sensitive RF circuitry in applications where DC power might exist on a transmission line or where a DC power spike might be generated. The DC Blocks operate to 18 GHz and are available in inner-only, outer-only and inner/outer DC block configurations. A full range of Pasternack impedance matching pads are available for quick delivery. Rojone offers a range of lightning protection devices. Times Microwave Systems has introduced its new, innovative Times-Protect™ line of surge and lightning protection products. These unique surge protection devices address applications throughout the entire useful RF frequency range from DC with capability up to and including 6 GHz. LP-STR Series 800 MHz – 2500 MHz (DIN and N connector configurations), excellent passive intermodulation (PIM) performance, outstanding IL/RL characteristics, DC blocked for superior surge performance, high surge current rating, Broadband multi-strike design, high power rating over the entire frequency band & fully weatherised housing to IP67 standard. LP-GTR Series DC – 3000 MHz (DIN and N connector configurations), DC pass, multi-strike capability, replaceable gas tube design, Broadband bidirectional performance, excellent IL/RL performance over the entire operating frequency band & fully weatherised housing to IP67 standard. LP-BTR Series 125 MHz – 1000 MHz, DC blocking technology, excellent multi-strike performance, exceptional longevity, excellent multi-strike performance, outstanding IL/RL characteristics & superior surge performance. LP-BTRW Series addresses applications in the 20MHz to 1000MHz spectrum. Weatherised to IP67 making it ideal for outdoor applications. LP-GPX-05 Series now available with a type N, SMA, or TNC interface. Return loss characteristics from 1000 to 2000 MHz. Exceptional DC pass designs protect GPS receivers requiring up to 5Vdc power to be supplied on the center pin for L1, L2 and L3 bands. Fully weatherised housing is rated to IP65 allowing for outdoor installations. LP-GPX-T Series offers outstanding Insertion Loss and Return Loss characteristics over the 1000-2000MHz band, making it suitable for protection of commercial and military GPS, as well as other applications in this band. Fully weatherised housing is rated to IP65 allowing for outdoor installations. Radiall has an extensive range of professional N & DIN 7/16, IP67, Quarter Wave Stub and Gas Discharge Lightning protection devices. Radiall’s arrestors are typically single band devices designed specifically for CDMA. Pasternack stock a range of Surge Protectors. Rojone has a full range of Lightning Protection, to download a copy of our GPS catalogue click on the link below. Rojone has an extensive R&D capability and welcomes custom design requirements. We are able to design and manufacture terminations quickly and cost effectively. Please contact sales@rojone.com.au with your specifications. RADIALL offers a wide range of SMA, N, SMB, SMC, BNC, BMA, SSMA, Space Qualified, QN, TNC, 7/16 , & QMA product ranging in power handing capabilities from 1 to 100 Watt and frequencies of DC to 40GHz in their connectorised termination range. Pasternack offer a huge selection of Terminations from Stock USA, delivery to Australian customers within 5 working days max.